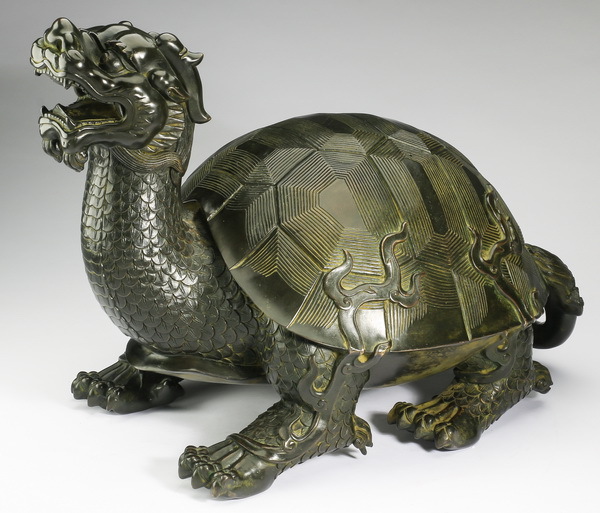 The item here is a large Chinese carved bronze bixie, having an open mouth and a shell decorated with flames, 13 ½ inches tall. It's slated to come under the gavel at Great Gatsby's Auction Gallery during their October 13-15 auction in Atlanta, Ga. The exotic and unusual piece is estimated to hammer for $3,000-$4,000. More about bixie: it is often considered an exorcising animal and literally translates to “avoid evil.” The bixie creature is usually hornless and is sometimes winged. It may have originated in Mesopotamia. Visit www.GreatGatsbys.com.